The traditional yoga method and system we specialize in was developed in Calcutta, India, between the 1930s and 1960s by Bishnu Ghosh, younger brother of Paramahansa Yogananda (born Mukunda L. Ghosh). Bishnu Ghosh had a handful of “star students”; Buddha Bose, Gouri Shankar Mukerji, and Bikram Choudhury were three of the most well-known. Bikram was initially sent to Japan in the early 1970s to teach Ghosh lineage yoga; shortly thereafter he ended up in the United States. From the early 1970s-1990s, the Ghosh lineage beginning sequence and teaching methods were refined by Bikram Choudhury, Rajashree Choudhury, Emmy Cleaves, and others. Bikram’s initial requirements for teachers was that they practiced for at least 10 years. Eventually a central teacher training was created in Los Angeles. Bikram Yoga Teacher Trainings trained approximately 4000 teachers from the early 1990s through the present. Other trainings of varying quality have popped up recently. However, we only endorse and hire teachers who have completed 500+ hour trainings run by senior, experienced, highly-developed teachers in the lineage. Authentic, traditional Bikram Yoga schools – whether called “Bikram Yoga” or not – will be owned by an experienced, Bikram lineage-trained teacher. These school owners usually maintain regular contact with mentors and masters in the lineage. Studios offering other types of hot yoga may have a traceable lineage, although most do not. 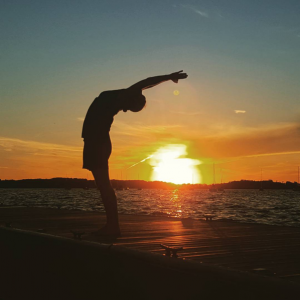 Read more about the distinctions between Bikram Yoga and Hot Yoga here. It is unknown how many yoga schools around the world are owned and led by teachers trained in the Ghosh-Bikram lineage, but some counts have placed it at around 600 at its peak. Contrary to popular myth and journalistic error, there is not a “global empire” of schools owned by Bikram Choudhury or anyone else. 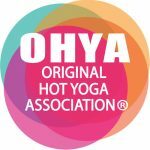 The Original Hot Yoga Association (OHYA) is a grassroots network of yoga schools that are owned by Certified Bikram Yoga Teachers. Its purpose is to create a directory of yoga schools owned and directed by lineage teachers and to retain and strengthen the yoga system and teacher training standards. Membership is optional for both school owners and teachers. BYCA’s founder and owner is a Level 3 teacher registered with the OHYA and is approved for Continuing Education in the lineage. We look forward to welcoming you to this wonderful tradition right here in East Lansing, Michigan!